Value is the name of the game. Our competitive pricing offers the best value of any Tulsa Holiday Lights installation company in Tulsa, and we will happily price-match any competitor’s estimate who carries worker’s compensation and liability insurance. Use a company that has the integrity you’re looking for. No need to worry about scams with us; we will never charge more than the agreed-upon price without consulting you first. When you go with Green Leaf Lawn, your Tulsa Holiday Lights will have the quality that you expect from a company you trust. Every aspect of our installation service is designed with your tastes in mind. We create excellent street appeal by hiding extension cords, ensuring your strands are hanging straight, and customizing each design to the unique aspects of your property. No time is wasted when it comes to your homes holiday light display needs. With our professional expertise, we will install your Christmas lights safely, quickly, and without delay. As professional Tulsa Holiday Lights installers, we pride ourselves in crafting beautiful, wondrous light displays customized to your wishes and designed to fit your budget. One of the most frustrating hassles that has to do with holiday light display is the fact that you have to take it all down in the winter after the holiday season has commenced. Our Christmas light installation service includes prompt take-down, at no additional charge. No need to find a place to store your Tulsa Holiday Lights and worry about untangling cords and strands each year. We offer free climate-controlled storage for your Tulsa Holiday Lights at our facility all year long. Relax this holiday season and enjoy your Christmas with your families instead of worrying about Tulsa Holiday Lights. Your landscaper can also help with the lighting. You dread looking at your electric bill for the holiday months. It’s amazing how much power all those tiny bulbs use. Landscapers are familiar with accent lighting and are experts at finding the most energy efficient means of providing it. They can help you with hiding electrical cords, determining outlet capacities and setting up timers to limit your electrical consumption. 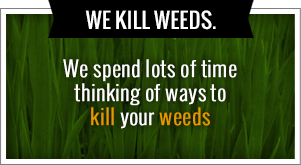 Our number is 918-640-6405 and you can find us out online at www.greenleafweedcontrol.com. It’s never been a better time to get the Tulsa Holiday Lights in your life that you need to bring in the holiday season. You love the holidays and love the way your home looks with its festive outdoor lighting. What you don’t love is the time and hassle of holiday lighting installation and removal. If you’re considering skipping out on next year’s neighborhood lighting contest, think again. 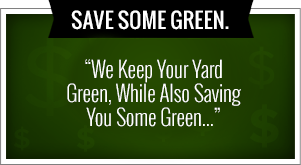 You might find your local landscaping service can help you out. The amount of injuries that come from people installing their own holiday light displays is staggering. Of course, it’s putting the lights up and taking them down that gets to most of us. Before you grab your ladder, call your landscaper. He already has the equipment for working in tree branches or diving into shrubs. No doubt he’ll do it more quickly and with fewer scrapes and injuries. Although there’s no time of year when a landscaper doesn’t have something going on, things do tend to slow a little in the winter months. Many local landscapers offer a service for installing and removing holiday lighting. Give them a call. They’ll appreciate the business and you’ll have a big load lifted off your shoulders.